Eden and Tyler haven’t seen each other in over a year. He went to New York on a speaking tour, and she stayed in Santa Monica for her senior year of high school. Despite their unresolved romantic feelings towards each other, Tyler invited Eden to New York for the summer. As old feelings flare up, Eden must make a choice between her boyfriend, Dean (Tyler’s best friend…) and Tyler. 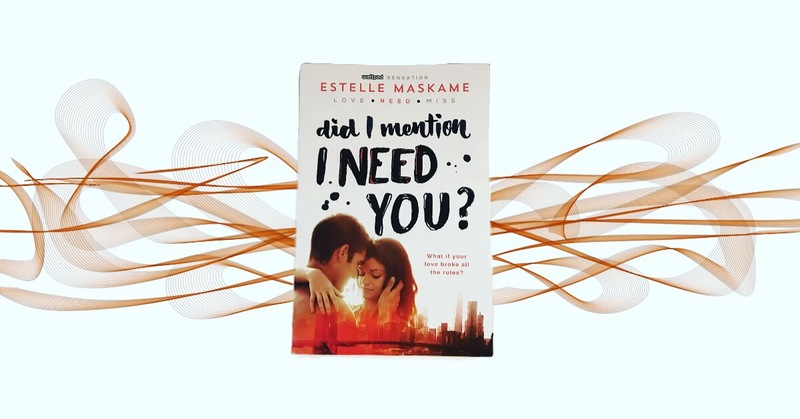 Estelle Maskame clearly shows her characters evolution from the first installment to the second, by changing the scenery from Los Angeles to New York and adding in a few new characters to help develop the plot and characters while still staying true to the characters personalities throughout their evolution. The addition of Tyler’s roommate Snake and his friend Emily were nice additions to the story and helped to show different sides of the characters readers already knew from the first book. This book takes place two or so years after the conclusion of the first one, so at first it’s a bit of an adjustment because you’d assume that the book would take place a year later, not two, but once you get used to the time change it’s easier to read. The added complication of Eden currently being in a relationship with Tyler’s best friend Dean made for an interesting and at times a bit stressful read; overall, it was written in a realistic manner and was a satisfying second installment to a great series.